It’s time to forget what you know about Call of Duty, as Activision and developer Treyarch have officially pulled the curtain back on Call of Duty: Black Ops 4, and it’s bringing a lot of changes to the series. If you’ve got about 40 minutes to spare, you can check out the full reveal, below. The main focus of the Black Ops 4 reveal was multiplayer, which, as rumored, is taking notes from the Overwatch playbook. 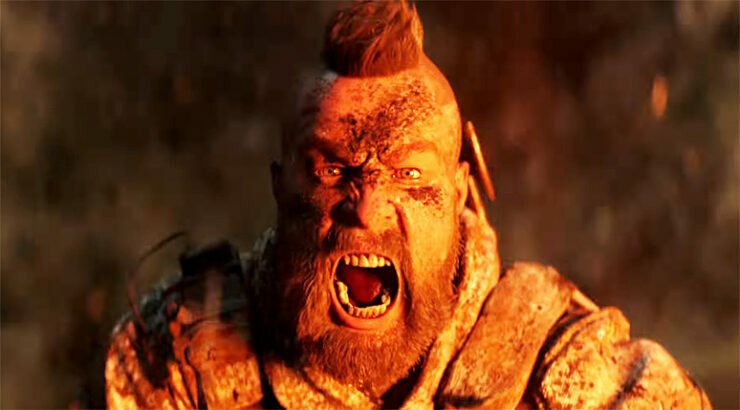 Black Ops 4’s multiplayer is brighter and more colorful than anything we’ve seen before, and focuses heavily on Specialists which all wield unique equipment like grappling guns, razor wire barriers, and a reactor core that lights all enemies in the area on fire. It’s a little out there for Call of Duty, but for those worried things are getting too wacky, Treyarch is also promising Black Ops 4 will be a “boots on the ground” experience with thrust jumps and wall running being scrapped. Get a first look at Black Ops 4 multiplayer, below. Unfortunately, Treyarch also confirmed another Black Ops 4 rumor – the game won’t have a traditional campaign. Instead, the game, which takes place between the events of Black Ops 2 and 3, will feature a series of shorter story missions focusing on the multiplayer mode’s specialists. Of course, it wouldn’t be a Black Ops game without Zombies. Black Ops 4 will reset the increasingly-convoluted Zombies timeline, telling a fresh story with a bit of an Assassin’s Creed flavor. Four new characters (Bruno, Diego, Shaw, and Charlotte) will travel to different time periods, slaughtering zombies and trying to take down some sort of cult in a Roman arena and aboard the Titanic. Treyarch is also promising to make Zombies more versatile than ever, with new modes and “Custom Mutations” that will let you tweak how you play. But what about the biggest, juiciest rumor of them all? Is Black Ops 4 doing a battle royale mode? You bet your butts it is. The new Blackout mode will include the requisite massive map, and characters, weapons, and references from the entire Black Ops series. Basically, it sounds like it’s going to be one big Easter egg. Finally, it seems PC CoD fans are going to have a lot to look forward to. The PC version of Black Ops 4 is being developed by Beenox and Blizzard, is exclusive to Battle.net, and will boast an uncapped framerate, ultrawide monitor support, rejiggered keyboard-and-mouse controls, and a bunch of other features. Phew! That’s a lot of info! What are your thoughts on Call of Duty: Black Ops 4? Is the lack of a traditional single-player campaign a deal breaker? Do you like the new take on multiplayer? Are you excited for the Easter-egg-packed battle royale mode?